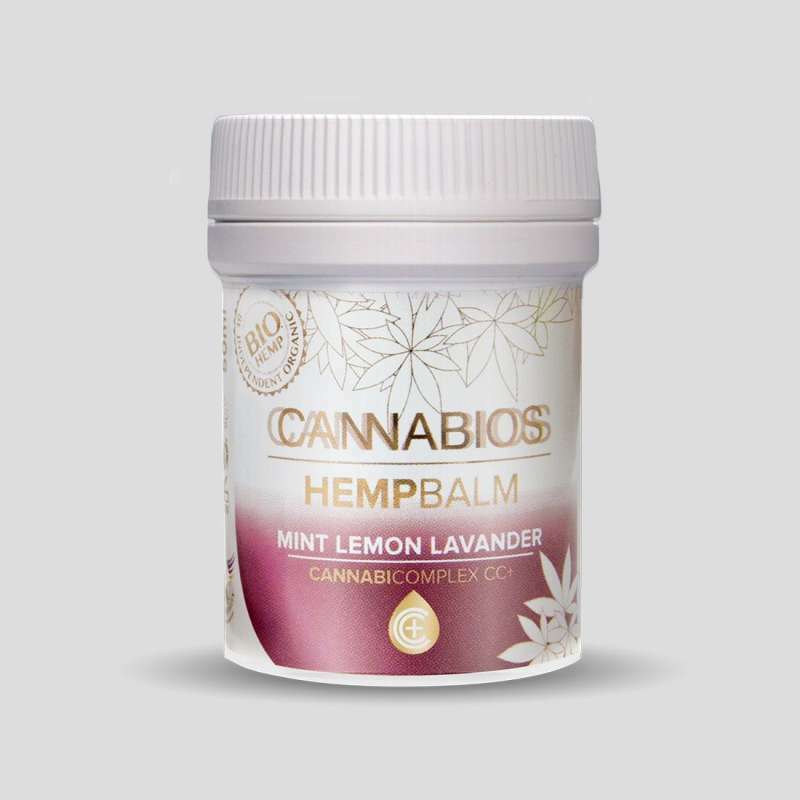 Cannabios Mint, Lemon & Lavender balm, is a natural hemp balm made from plant materials, very complete in terms of qualities and properties. Ideal for any problem of light skin, such as itching, lip balm, etc. It offers impressive results. Cannabios Balm Mint, Lemon & Lavender, is a natural hemp balm made from very complete plant materials in terms of qualities and properties. 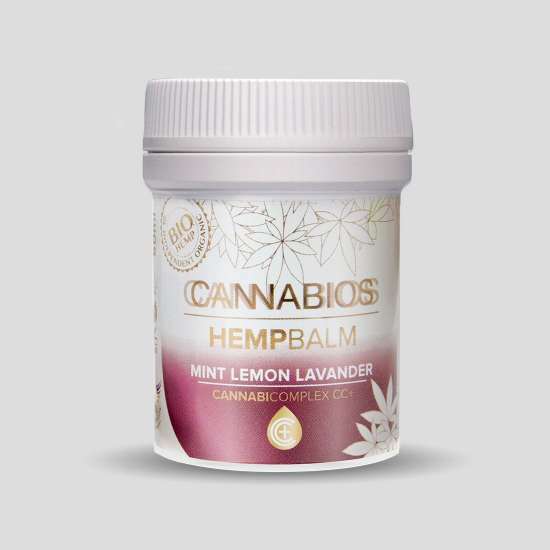 The special synergy created between its natural ingredients, where we find a mixture of olive and hemp oils, which together with the essential oils of mint, lemon and lavender, as well as the natural CC + (Cannabinoid Complex plus) from the plant of hemp, and the contribution of Omega-3 and Omega-6 essential acids and innumerable antioxidants, nourishes and protects the dermis in an exceptional way, offering benefits and especially soothing, antiseptic, moisturizing and regenerating properties of skin. Suitable among other uses, for the treatment of various problems such as injuries, cuts, burns, scratches, or irritated skin among others, relieving, calming and protecting the treated areas, besides being a great regenerator of damaged skin, taking care of it and protecting against undesirable external agents. A natural alternative to chemical products. Manufactured without preservatives, dyes, or added perfumes, Cannabis Mint Balsam, Lemon & Lavender is a product from sustainable and organic agriculture. Suitable for topical use Apply on the affected area once clean, performing a gentle massage two or three times a day, as necessary.